The course could set to change for As Roma after the latest news in Italy suggesting that the capital club could be changing owners soon as the Sensi family have been offered to let go of the team by a banking firm UniCredit. The Sensi family, who have been leading the club for about 17 years owes the firm 325 million Euro, so now UniCredit offers a solution in order to clear out the debt, which is asking Rosella Sensi and co to sell their assets including Ill Lupi. The press stated that the solution to resolve the issue should be revealed soon, although the media are sured that Roma will be brought to the market by the Sensi family as it would be the wisest thing to do. The club have been struggling with financial issues in the past few years, especially after Rosella’s dad, Franco Sensi, passed away and hand over the Giallorossi’s ownership to her. Despite the financial difficulties, the team have courageously compete in the Serie A managing to finish behind Inter last season. It would be interesting to witness Roma’s future if Rosella do decide to let go his father’s heritage and allowed the team to be owned by someone else. Until now there hasn’t been any concrete rumors regarding the possible owners for Ill Lupi, although not long ago there were whispers that some foreign company are interested in acquiring the capital club. With the fact that money has been such a problem for the Giallorosi, selling the club to a strong financial force might help them to compete more with Inter Milan and also other giants such as Ac Milan and Juventus next season. 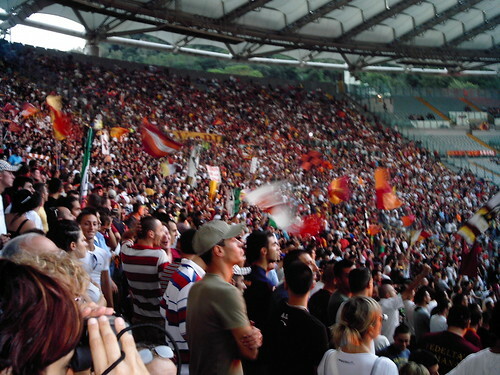 However, should they fall into a wrong glory hunter owners, the long term future of Roma could be in danger especially if the new boss only uses the club for his own personal fun or marketing tools. Giallorossi could just see some of the problems that happens to English clubs such as Liverpool and Manchester United, both teams are the perfect examples of how incapable new owners can cause more damage in the long term leaving the clubs in more crisis than ever. Now, the whole Italy can only hope that Rosella Sensi would take the best step regarding Ill Lupi’s future and should she decide to gave them up, it should be for to the ones who really cares for the club.